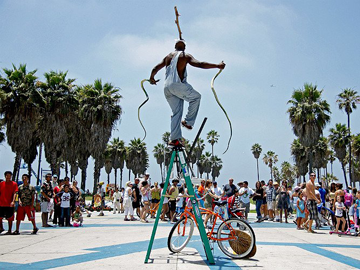 Venice Beach is a residential, commercial and recreational beachfront neighborhood on the westside of LA known for its gorgeous canals, the beautiful beach and the visual sidewalk circus called the Ocean Front Walk. During the summer this two-and-a-half-mile pedestrian-only promenade attracts visitors from near and far. Street performers including instrumental musicians, singers, jugglers, acrobats, mimes, comics, magicians and fortune tellers entertain the crowds and the funky shops offer often bizarre souvenirs. The city of Venice (originally called "Venice of America") was established in 1905 as a seaside resort town. 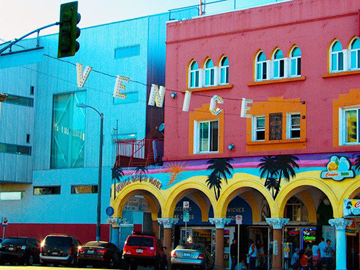 The founder, tobacco millionaire Abbot Kinney’s dream was to create a great cultural mecca. Unfortunately for him the people of Venice didn’t share his interest in the arts so he changed his original plan to accommodate the public. The new idea for Venice was a beachside amusement resort, which became known as the Coney Island of the Pacific. 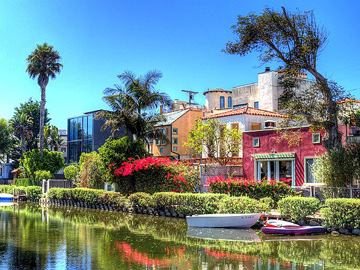 Venice became part of the City of Los Angeles in 1925. In 1990, the city paid tribute to their founder by renaming West Washington Blvd Abbot Kinney Blvd. Throughout the years Abbot Kinney has become one of the “coolest blocks in America” with some of the best restaurants, a farmers market, unique art galleries, prestigious shops and exciting nightlife. 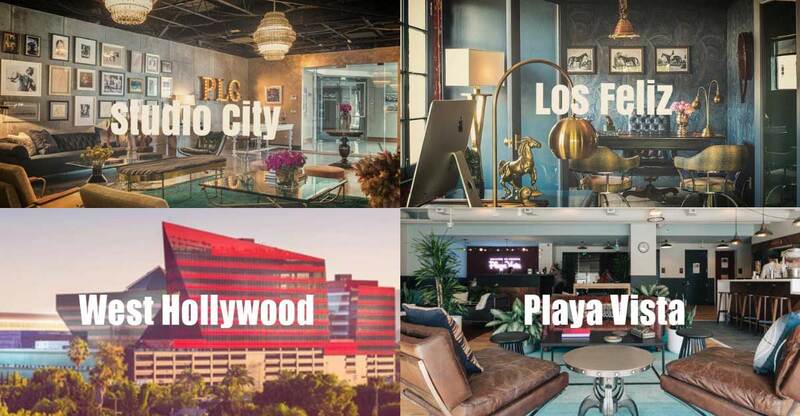 This trendsetting strip on the westside continues to attract Los Angelenos and tourists alike. 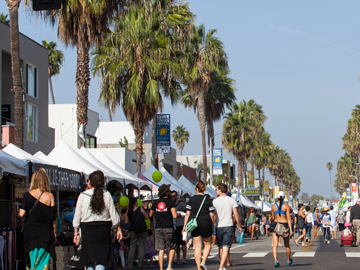 Every September the famous Abbot Kinney Festival draws people from all over the city to Venice. That day you will find mix of hippies, hipsters and beach boys frolic through the streets playing music, eating tacos and sipping on their ice tea lattes. Venice has been known as a hangout for creatives for decades. In the 1950s and 1960s it was the epicenter of the LA Beat generation and there was an explosion of poetry and art. The likes of Charles Bukowski, Patti Smith and Tom Waits called the little beach neighborhood their home. With many streets pedestrianised, a number architecturally important buildings and historic canal district, Venice is a genuinely unique location.